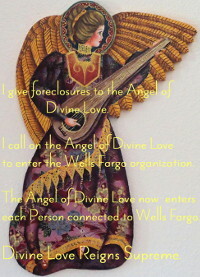 9/23/2018 ~ When you look me in the eye and hear what I am saying about Wells Fargo trying to take my home by not serving me its Complaint for Foreclosure, so I wouldn’t be able to fight the foreclosure, then a bit of the truth in Foreclosure Awareness begins to take hold in your mind, and our Collective Consciousness is stronger in that truth. 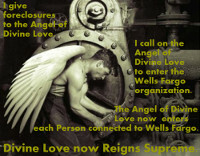 More than 18 million Americans have had homes taken by banks using fraud and deprivation of basic due process rights. Yet “news” described the financial collapse of 2008 as “greedy home buyers who bought beyond their means”. The so called news placed all the blame for the economic collapse on people who had no control over Wall Street, but were in fact the victims of Wall Street swaps, derivatives, bundling and other profit oriented machinations. 18 million people, though a lot, is but a tiny fraction of our overall 350 million population. Today, a large percentage of our 350 million population still look upon people suffering bank fraud in foreclosures as the problem, not the victims. The “news” has been highly effective in shaming hard working people who were endeavoring to buy a solid, secure home for their family. At the same time, the “news” has been highly effective in shielding banks from blame for not lowering the high interest rates that inflate foreclosed home sales today. 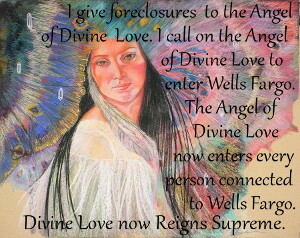 For instance, my outstanding principal is $84,000, but the foreclosure judgment is for $186,000. Interest that could have been significantly lowered, jacked up the judgment and the price of my home at auction. 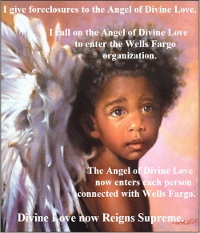 The “news” has emboldened courts to side with banks, leaving those of us who are fighting banks like Wells Fargo are at a huge disadvantage. But, as our Collective Conscious throws off the lies that were seeded in the minds of the American population at large, courts will return to justice.